The Mad River Chorale is based in the Mad River Valley of Central Vermont, and our singers reside and work all over Central Vermont. On January 1, 2018, we welcomed our former accompanist, Mary Jane Austin, as our new conductor. Alison Cerutti, our longtime friend who has accompanied us many times in the past, will be on hand in 2019 as well to support us as we learn and perform our programs. Harwood Union High School, Rte. 100 Duxbury. 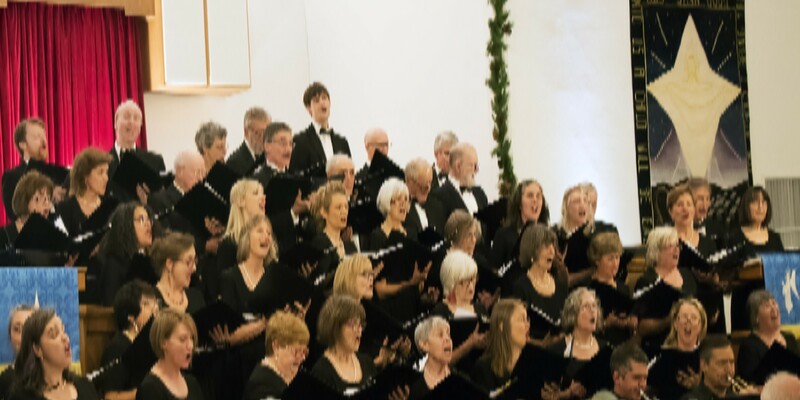 For further information about singing with the Mad River Chorale please see the Join Us page on this site, and/or call Jane Hobart at 496-2048. Our community chorus usually presents two concerts each year. One is always in late November or in December, usually a holiday offering, and one in late spring or early summer. Programs range from classical music through jazz, traditional, contemporary and Broadway, in a variety of venues. Singers are welcomed whether experienced, inexperienced or returning after years away from the chorus. Although we are non-auditioned, singers must be able to match pitch and sing with their section, and are expected to put in time outside rehearsals to learn music. We’ve been singing since January 1993. On December 31, 2017 we completed our our 25th year. On to the next quarter of a century! MRC & Co., Inc. is a 501(c)(3) non-profit organization based in Waitsfield, Vermont. To Sing with us ! The Mad River Chorale is a non-auditioned community chorus. We welcome singers of wide abilities and experience. 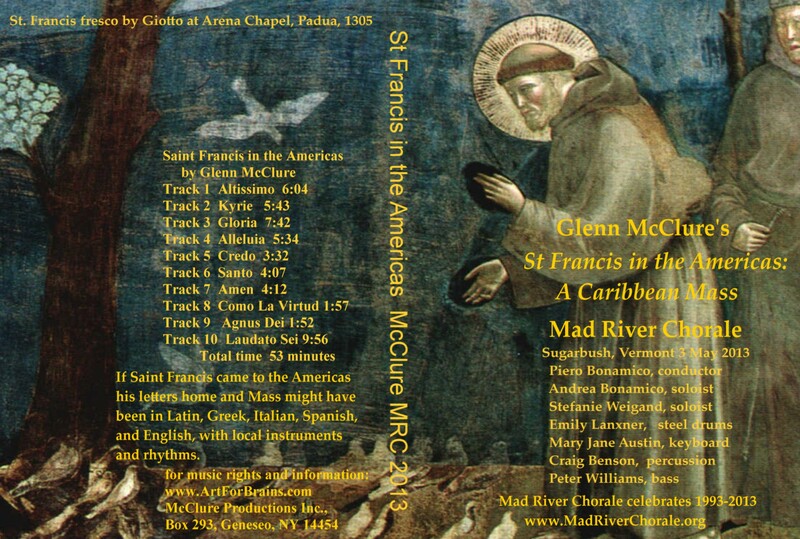 A CD in a full color case with our 2013 Spring recording of Glenn McClure’s St Francis in the Americas Mass is available for $10. Valley Arts is an MRC cooperative nonprofit. We share events information to assist the public in arts events of all kinds in the Mad River Valley of Vermont.